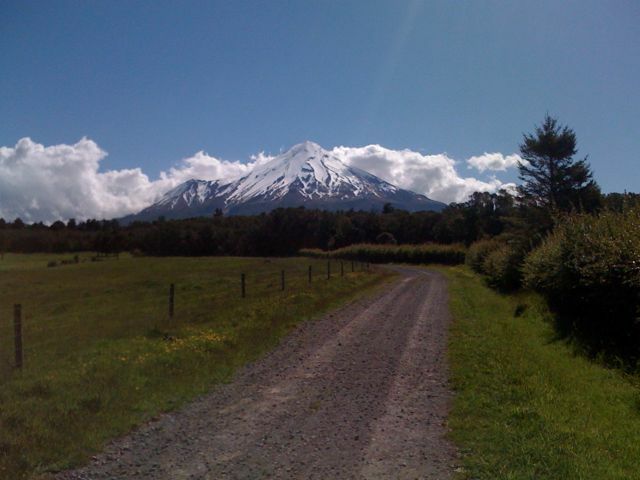 Today we did a 3 hour hike on the old Egmont Railway Track at the end of York Road. 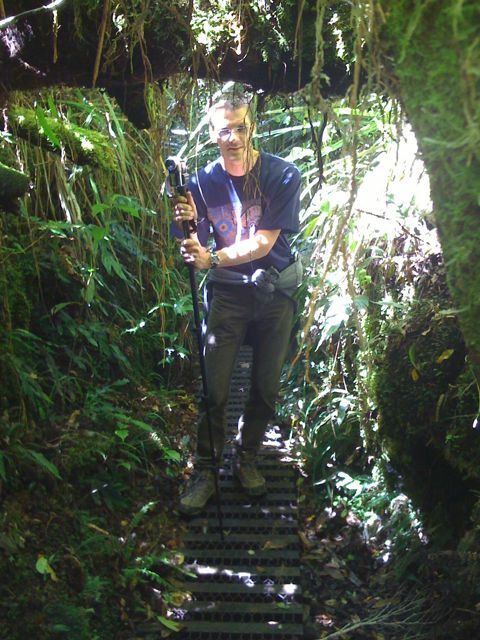 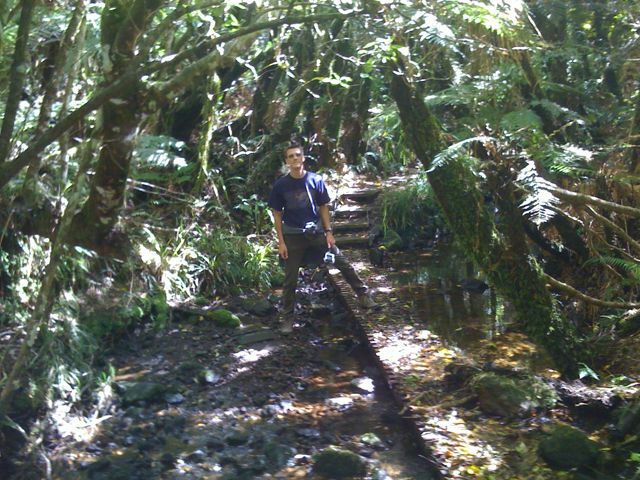 This railway track does not exist anymore, but you can walk through the forest where it once was, see the crusher site (where the rocks were crushed), the sand trap (where they cleaned the Wanganui river water to power the crusher turbines) and, after crossing a swinging bridge, finally see the foot station, where the trains got loaded with the rocks. 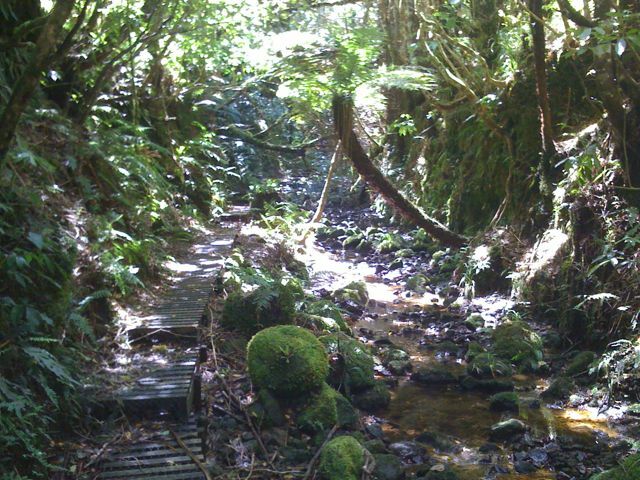 The track is really enchanted! 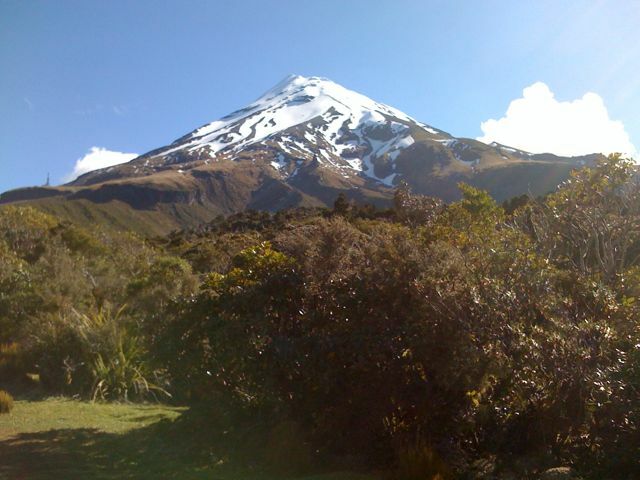 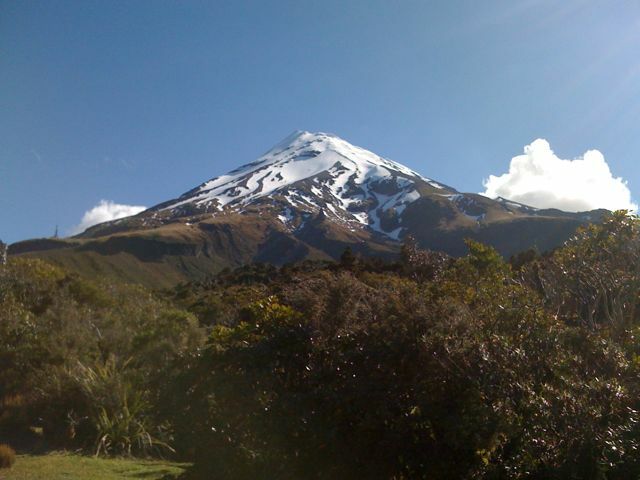 In the afternoon we got great views of Mt Egmont!